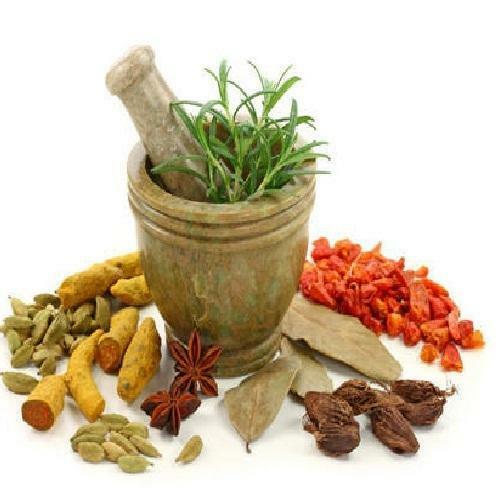 Herbal Ayurvedic Medicines are prepared from the rich experience of 5,000 years of Ayurveda. We provide third party contract manufacturing of Herbal Ayurvedic Medicine. We are bulk suppliers and exporters of 100% Organic Essential Oils. We are private label manufacturers. We make 100% natural, organic and handmade beauty products. We make cruelty-free products. We produce over 3000 herbal concoctions. We can prepare umpteen variants of herbal creams and lotions in your private label brand. We do not test any of our products on animals. We make premium quality products and strive to provide highest level of customer satisfaction. Herbal Ayurvedic Medicine helps people live a balanced, healthy and long life. They are made using three doshas: Vata, Pitta, Kapha. The diseases originate when there is an imbalance in these three energies. It helps in resolving digestive issues to infertility problems. It is effective in treating various ailments such as Alzheimer’s disease, depression, anxiety, dementia, asthma, high blood pressure, cholesterol and Parkinson’s disease. It is also useful in curing Herpes, Cancer, Dysmenorrhea (painful menstruation), premenstrual syndrome, perimenopausal problems and cramps. It is instrumental in treating hormonal disorders, inflammations and autoimmune conditions. It also eases digestion for smooth absorption of fluids and foods. It also deals with chronic constipation, acne, lowers obesity risk. If you are looking to make your own brand in Cosmetics and Private Label products, then you have found the right vendor. Bo International is one of the leading manufacturer of Private Label cosmetics and personal care products in India. We provide end-to-end private labelling and contract manufacturing service. We have over 3000 formulations and a strong R&D team to develop any new formulation you require. We also have several different packaging options available for you. Established in the year 1990, we, "Bo International", are one of the renowned Manufacturers and Exporters of a quality approved collection of Essential Oil and Carrier Oil. We are offering a complete range of Essential Oil, Carrier Oils, and Floral Absolute Oils. Offered oils are prepared using only quality tested ingredients. These products are admired for their precise composition, leak-free packaging, long shelf life, high purity, and non-toxicity. Our state-of-art infrastructure is the backbone of our firm that assists us inefficient analyzing of the production capacity. We have installed advanced machinery in all our units that help us in maintaining the high rate of production. We have a team of experts, who have experience in this area. Their knowledge had led us to mark a good name in this competitive market. Working under the specification laid by the industry has drafted the way for us to reach the pinnacle of success. Also, our exporting countries are USA, Canada, and Australia.